PLEASANTON, CA--(August 31, 2016) - Maddie's Fund®, a national family foundation based in Pleasanton, CA, awarded Austin Pets Alive!, in partnership with Austin Animal Center, $442,250 to support the beginning of an Austin-based Training Academy to teach other organizations a systematic method for achieving no-kill in their home communities. 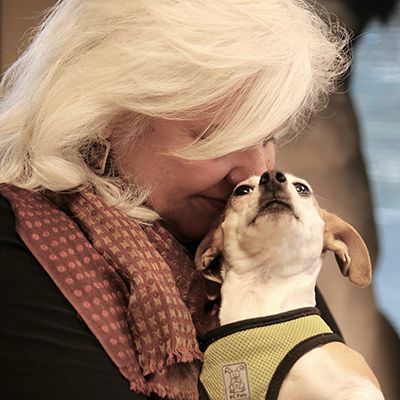 "Thanks to Maddie, more communities will have the education and resources to implement and run successful lifesaving programs, which will help us achieve our goal of a no-kill country," said Dr. Ellen Jefferson, Executive Director of Austin Pets Alive!. "We are excited to share what we have learned so that other leaders can prevent recreating the wheel and can have immediate positive impact in areas they may be currently struggling with." The No-Kill Training Academy at Austin Pets Alive! will enable organizations and people to develop systematic methods for saving shelter animals' lives. It will start as a pilot to assess demand and to develop and measure the training's effectiveness. The funds will be concentrated in the development of standard operating procedures as well as the hiring of several key leadership positions: Maddie's Director of Education, Maddie's Assistant to Programs Austin Pets Alive! Cat Programs, Maddie's Assistant to Programs Austin Pets Alive! Dog Programs, and Maddie's Executive Assistant Austin Pets Alive! "This is a huge step toward making America a no-kill nation," said Laurie Peek, Executive Leadership Team, Maddie's Fund. "By sharing knowledge and resources with others, both in-person and online, the No-Kill Training Academy at Austin Pets Alive! will help ensure organizations across the U.S. have what they need to guarantee all animals a healthy home or habitat."